Sanofi CHC, a leading manufacturer and marketer of healthcare (OTC), personal care, and skin care products is searching for a career minded, energetic, and organized sales professional to join our AlbertsonsTeamas a National Account Manager. 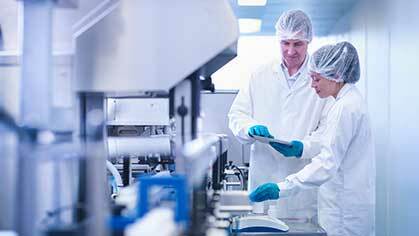 Sanofi CHC’sextensive portfolio of brands include Allegra, Nasacort,Xyzal, Icy Hot, Zantac, ACT, Gold Bond and Selsun Blue. Sanofi CHCis aglobal business unitof Sanofi, a multinational pharmaceutical company based in Paris, France. The National Account Manager role has direct responsibility for building brand equity, sales and profits for key strategic brands in multiple categories. The expectation is to achieve or exceed sales goals through a comprehensive vertical business management approach owning the process from top to bottom. This position will managevarious Sanofi Brandswithin Albertsons. The National Account Manager in this role is passionate about the business and an independent thinker with a team spirit. Proven analytical and critical thinking skills are necessary, along with organization, persistent follow up and attention to detail. Multi-tasking should be second nature. 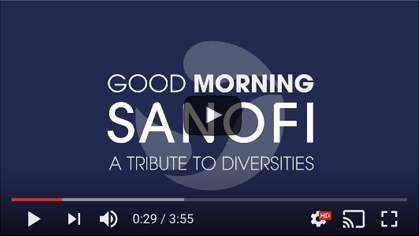 Excellent negotiation, listening, verbal and written communication skills are necessary as well as a comfort level presenting to both Sanofi CHC and customer senior management. Build strategic partnerships with Albertsonsby integrating Sanofi CHC andAlbertson’sstrategic initiatives. Identify opportunities to maintain and expand distribution on existing business and find unique opportunities for incremental sales and profit. This description is representative of position responsibilities. Associate may be asked from time to time to complete tasks not listed within the contents of this document, but that are relative to the goals of the business. Education:BA/BS from an accredited college with a focus in business preferred. Experience:7+ years proven sales experiencein a related positionwithin the consumer products industrywith direct account responsibility. Previous experience selling to and managing Albertsonsis preferred. Professional Skills:3+years’experience utilizing Nielsen or IRI syndicated data; excellent written and oral communication skills, ability to analyze and evaluate several sources of data to develop actionable insights. Role Specific Competencies:This position requires extensive use of computer equipment. Must have a demonstrated proficiency in Microsoft business software to include Excel, PowerPoint, Word, and Outlook. Familiarity with Nielsen or IRI programs is preferred. This position requires the ability to travel and have overnight stays. Special Requirements:Position is basedin Boise, ID.30% travel required.